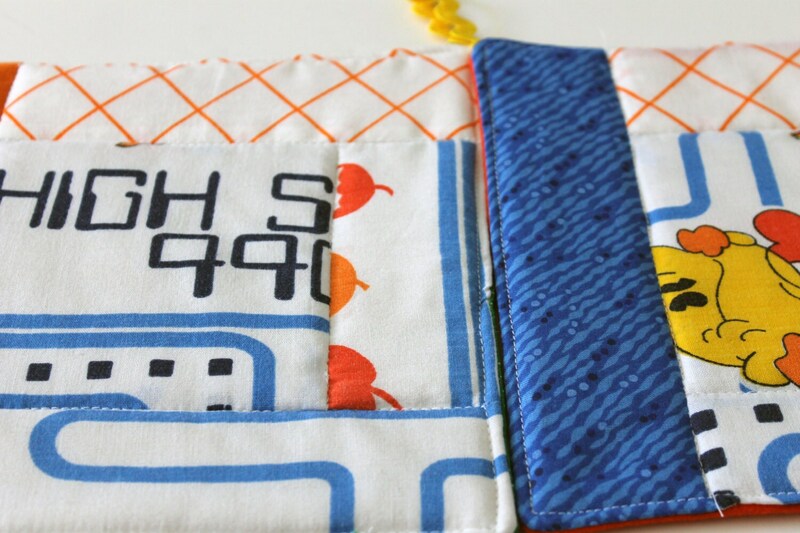 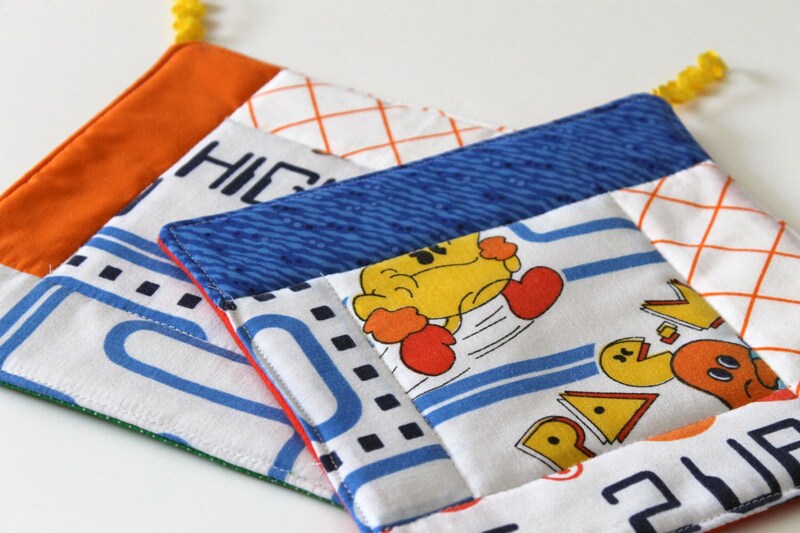 Show off your love for the Pac-Man with this cute pot holder set. 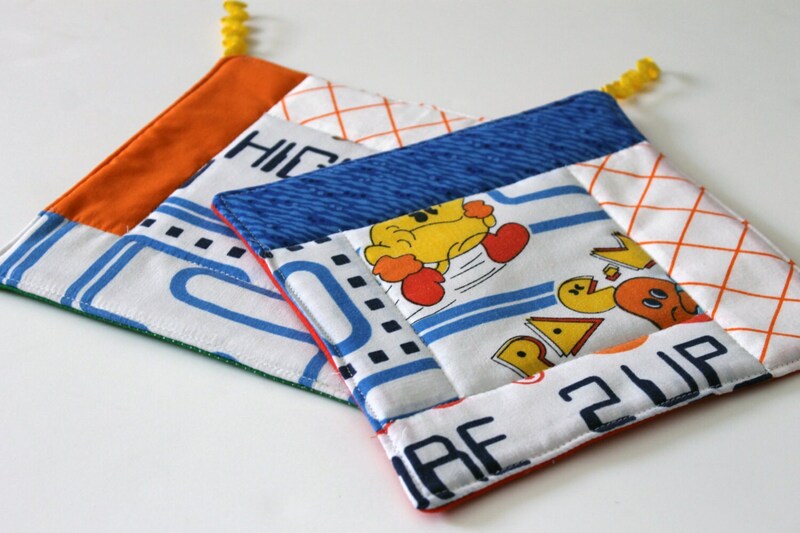 The pot holders have been made from a vintage bed sheet and accented with coordinating fabrics. 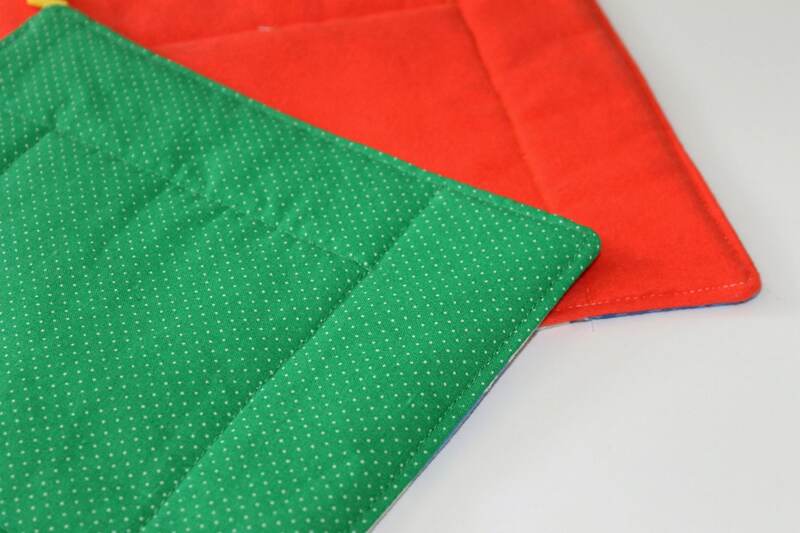 The back sides are also different, one is a kelly green with white dots and the other is deep orange flannel.